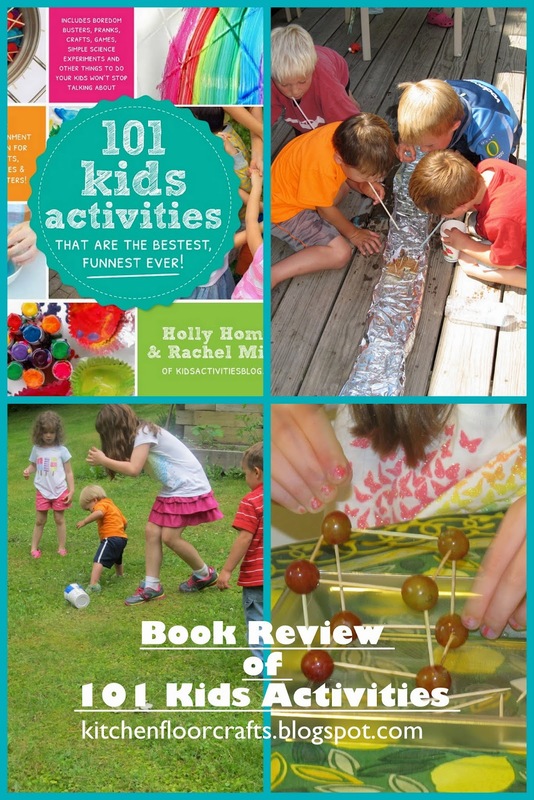 Earlier this summer we were really excited to receive a copy of the book 101 Kids Activities that are the Bestest, Funnest Ever. This is the first book from Holly Homer and Rachel Miller from the Kids Activities Blog and Quirky Mommas. And after some time with it this summer we're certainly hoping it's not their last! From the moment the book arrived Big Brother was entranced with it. He was captivated by the incredible photographs and endless activity ideas. He spent over half an hour carefully inspecting each page. The next day he reread the book and began asking about the different activity ideas and selecting the ones he wanted to try. 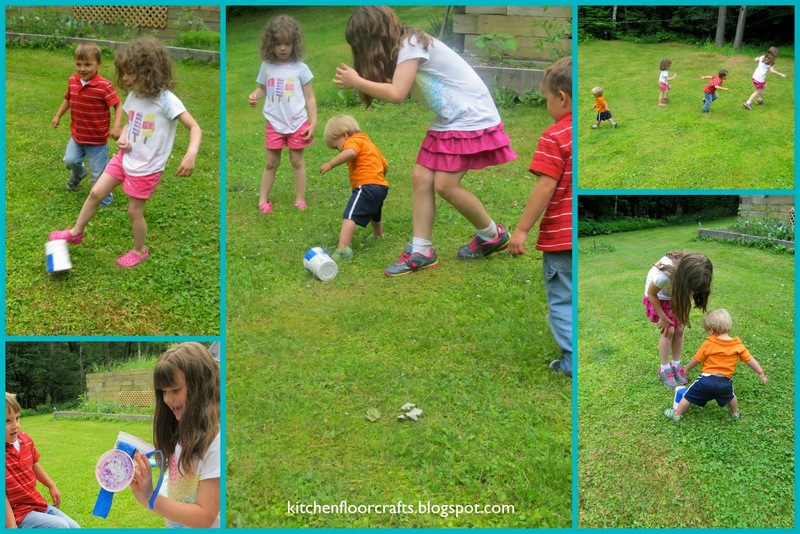 Over the last month we've had several opportunities to try out several different activities. Although at first we were drawn in by the photographs and range of activities, one of the things we've enjoyed most about the book is its possibilities for engaging a wide age range of children with a single activity. 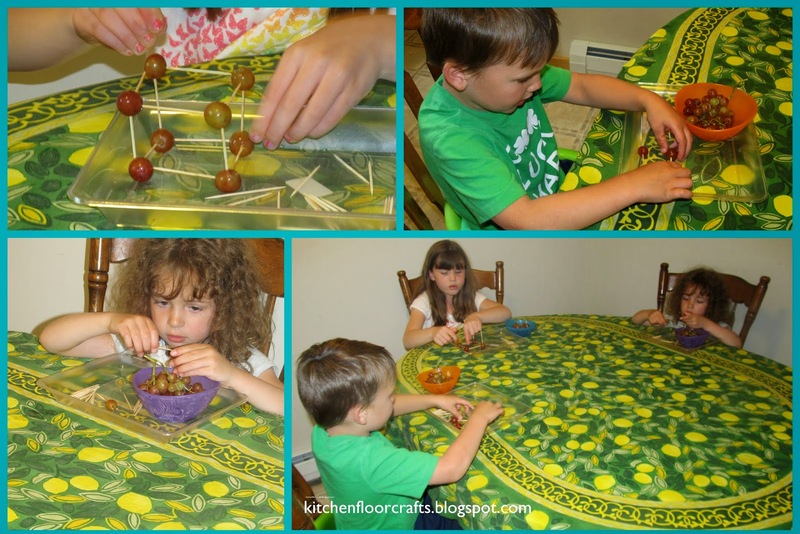 Each activity includes ideas for how to modify an activity for both older and younger kids, which makes it a great resource when you're looking to play with (and entertain) a wide age range of kids. Below is a brief write up of some of the things we've tried with a group of children. 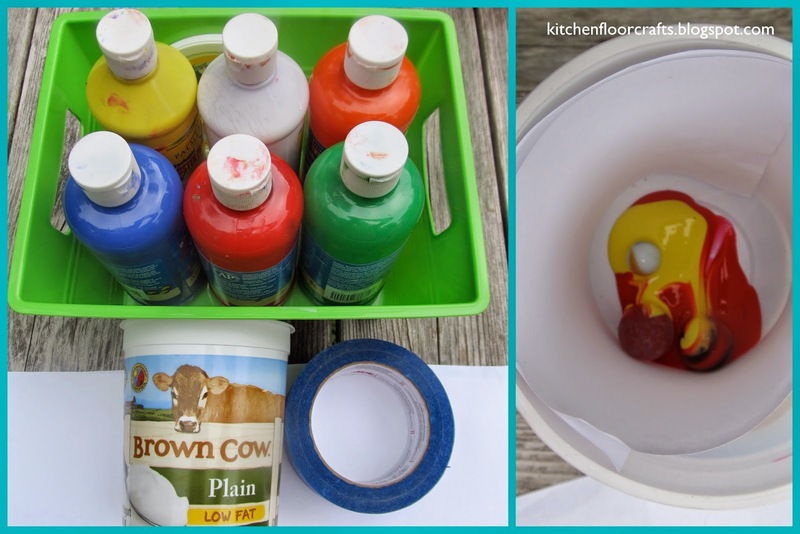 After we put the paper and the paint in, we closed the container and taped it shut. Than the kicking fun began! We repeated the activity four different times, with different colors. Everybody got into kicking the can as far as they could around the yard and practiced passing it to one another. The big kids were excited to see what the art work looked like when they opened it up. It was fun enough they would have continued it all day! Although I decided to let Little Brother (age 16 months) give this a try with extra supervision he only tried poking toothpicks in a few times. Grapes are his favorite food and he really was only interested in eating them! One other day this summer we had quite a houseful, and this was definitely a book I turned to for some play ideas. 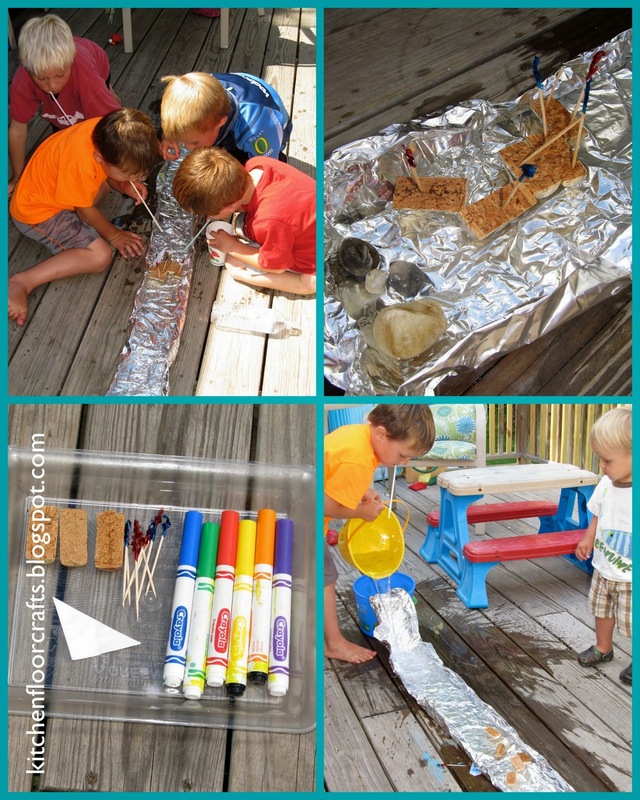 The activity that the kids really enjoyed that day was the cork boats and tinfoil river. Before the activity I cut the corks in half and set out tooth picks and mini-flags. The boys were the ones who decided to play, and they decided they were not as interested in decorating flags this time around. I also made a tinfoil river on the deck by using a long piece of tinfoil, rolling up the sides, and filling it with a little bit of water. The idea of this activity involved figuring out a way to get their boats down the river without moving them with their fingers. They first tried pouring in more water, which actually helps kids understand about water displacement. It moved their boats some, but not as fast as they wanted. They then tried using straws to move the boats. This also worked some, but still not as much as they wanted. They finally rigged the top end of the river into a waterfall shape, which meant they got a fast current going when they poured the water into it and moved their boats as quickly as they wanted. We really enjoyed the opportunity to engage with this book and try out different ideas. I know we've still got many more to try that caught Big Brother's eye. Definitely a great resource for parents, grandparents, babysitters, and teachers! Please note: I received a copy of this book in return for the review but as always, the review is my honest opinion. The views and opinions expressed on this blog are purely my own. Oh thanks SO much!!!! It looks like you had fun :).